Dalton Gardens is known for its large lots and mountain views. Dalton Gardens Mayor Steve Roberge and council members Denise Lundy and Joe Myers will be ousted from their city government positions after the results of a special March 12 recall election are finalized. The effort was sparked by a group of citizens frustrated with the city's choice to allow one family to build beyond what current ordinances allow. 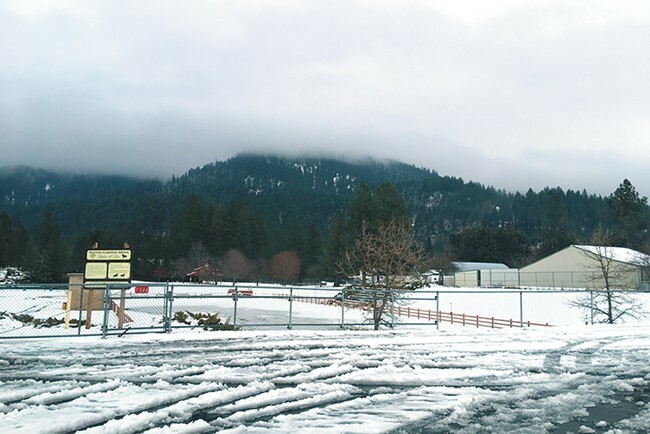 The Save Dalton Gardens group worried the decision could open the floodgates to more development in the small North Idaho town, which is sandwiched between Hayden and Coeur d'Alene. But before the effort to recall the entire city government went to a vote, Mayor Roberge tried to make the case that settling and allowing the Streeter family to develop three additional homes across four acres of a five-acre property wouldn't set precedent across the city. The family had divided its property into separate lots in the 1970s before the current rule for property frontage was in place. The city argued it found only one other similar property that might be similarly grandfathered in. However, that wasn't enough for neighbors to the property like Jeff Crandall, an attorney who helped start the Save Dalton Gardens effort and recall. In addition to not wanting to see more homes on the Streeter property that don't have the required street frontage, Crandall also said some citizens were upset with potential plans to put sidewalks and other upgrades along Fourth Street, one of the main drags through town. Dalton Gardens is known for having large lots with front yards and often enough back acreage to keep large animals. People in the town say they like not having sidewalks, streetlights or a sewer system. So for some, the multiple proposed developments represented a threat to the town as they know it. While the entire four-member council and the mayor were all up for recall, two members escaped unseating. For a successful recall, it takes at least as many votes as the official got to be voted into office in the first place. Then, it's also required that more people vote for the recall than against it. So while council members Scott Jordan and Jamie Smith both had more people vote for their recall than voted to get them into office originally, they were not ousted because more people voted against their recall. The election saw a nearly 61 percent turnout from the more than 1,600 registered Dalton Gardens voters. "Getting that kind of turnout and being successful at recalling three positions is kind of a mandate to start listening to the citizens," Crandall says. "They have a voice, they just proved that they did. That’s pretty empowering for the city." Because the move will leave the council without a quorum to fill the empty seats, Gov. Brad Little will need to appoint someone to one of the empty council seats, which will then enable the remaining council members and the appointed member to fill the other vacancies. The appointed person would serve until the November election later this year. Applications to be appointed to the seat are due to the Governor's Office by 4 pm Monday, March 18, according to a news release. Applicants must be Dalton Gardens residents, and applications can be found at gov.idaho.gov/appointments/. Questions about the appointment application process can be directed to Zach Forster, Special Assistant for Appointments, by calling 208-334-2100. Applications must be e-mailed to Zach.Forster@gov.idaho.gov. Crandall says the city plans to hold a special council meeting this evening to discuss how the transition will happen. He's hopeful the remaining council members will work through a similar application process to fill the other open positions. "We’re hopeful that they’ll work with us and we can kind of rebuild things and move forward as a community and get this chance to reset," Crandall says. Roberge did not immediately return a message seeking comment Thursday afternoon.